Liverpool are heavily interested in young Boca Juniors wing-attack Cristian Pavon, writes Sam McGuire for Football Whispers, the publication he’s recently started working for. McGuire is a friend of EOTK and we trust his claims, which have been reproduced in various newspaper reports since. 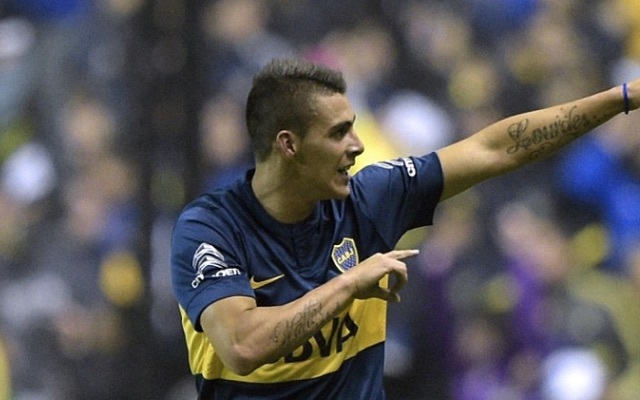 Pavon is a 20-year-old Argentine who starts on the right of Carlos Tevez for Boca. He fits the bill of the kind of player Jurgen Klopp signs; talented, little-known, affordable. In fact, he reminds us of Liverpool’s January acquisition of Marko Grujic last term. Come the winter, our on-fire attacker Sadio Mane will be absent for a month due to his participation in the African Cup of Nations and Klopp’s stated he might buy a replacement. Pavon has the attributes our frontline requires. He’s quick, likes to interchange positions and can create and score goals in equal measure. He has seven goals in 17 appearances for Boca and played for Argentina’s Under-23 side at this summer’s Olympics. Tony Barrett reckons we’re after Sardar Azmoun, another young attacker, so it’s not inconceivable that both are being heavily scouted, although we’d only imagine one of them to arrive.